Woman at Sink, 2014. 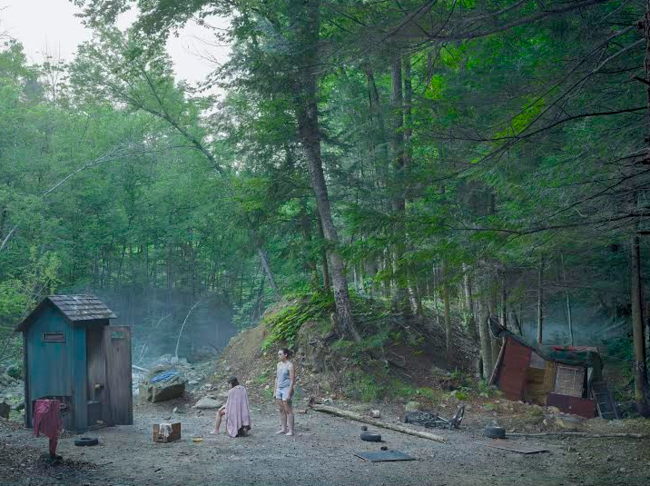 © Gregory Crewdson. Courtesy Gagosian Gallery. 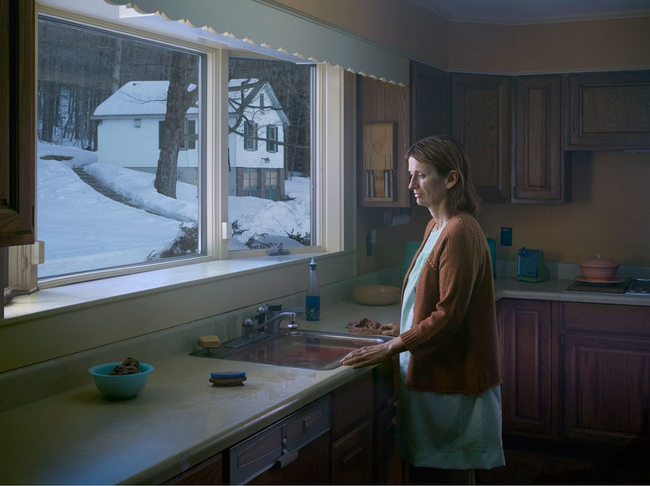 On the morning of the exhibition’s opening last week, I spoke with Crewdson about his influences and the sense of mystery at the heart of his work. Your work has always been likened to cinema. Can you tell me about your relationship to the medium? I’ve always loved movies, and I loved the way movies looked—light on a screen. 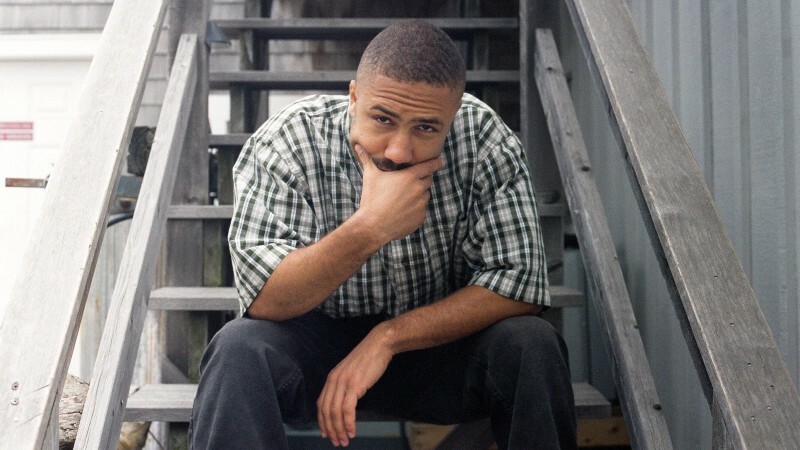 When I was an undergraduate at SUNY Purchase, that was a very vital time for me; that’s really where I discovered photography as a practitioner. But at the same time, I was taking classes with film theorist Tom Gunning, who was hugely influential to me. I started taking classes on Hitchcock, 1950s melodrama, horror films, et cetera, and for sure that had such a profound effect on me. I saw David Lynch’s Blue Velvet when I was a graduate student at Yale and that definitely changed my life. There was also Close Encounters of the Third Kind, which is a huge film for me. I love movies that are accessible but also have a darker underside–I think that’s what my pictures do, they have that same tension. Mother and Daughter, 2014. © Gregory Crewdson. Courtesy Gagosian Gallery. The construction of your photographs is such a large production—do you find a connection between your approach and that of a film director? I feel like my pictures are about movies in as many ways as they’re not about movies. When I make a picture I work very closely with Juliane Hiam, my partner, and we write descriptions for each picture, which is almost like a one-page screenplay. But it’s very limited in terms of what it tells; it doesn’t describe plot or motivation or anything like that. And those one-page descriptions become like the bible for each picture. Do you ever think about what’s happening outside the frame in the world of the photo? Does that story just end when the shoot is over? I actually try not to think about what happens before or what comes after. I want it to remain a mystery, because I feel like if it remains a mystery to me, it will remain a mystery to my viewership—and I think that’s important. Photographs are limited, they’re not like movies or literature because there’s no before or after. But I’ve always seen that restriction as a positive, as a way of trying to create even more mystery. The Haircut, 2014. © Gregory Crewdson. Courtesy Gagosian Gallery. What I find fascinating about your photos is that they create a psychological space that allows viewers to create their own narrative. Two people can look at the same photo but tell themselves a completely different story. Yes, and to me it’s beautiful that that can happen. Everyone brings their own history, their own baggage, and their own particular meaning to a picture. 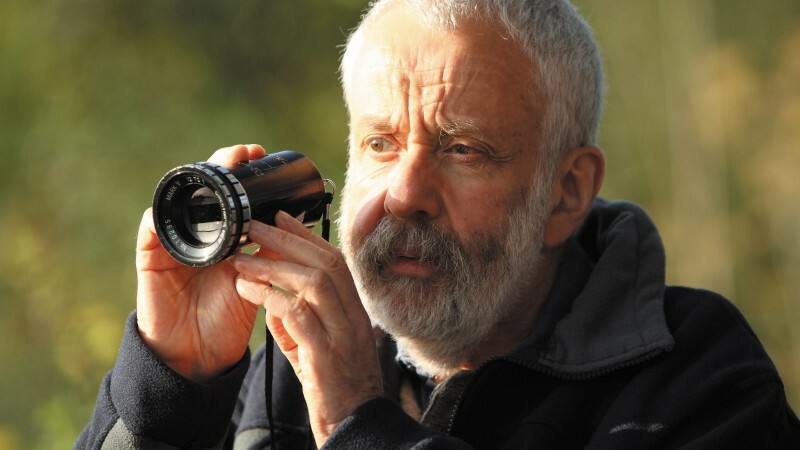 In addition to changing the nature of the work you create, it seems to me that being physically present in the pine forests, or in Becket—rather than on a set or in a studio—must make for a unique shooting experience. Is there a particular part of the process that you enjoy the most? Yeah, I really live for the moment when I’m in front of the camera and the thing is happening and you can literally see it in front of your eyes. If it’s all working correctly, you can see the picture becoming something other than what it was, and to me that’s the greatest part of it. And then there’s the struggle afterwards of, in a sense, trying to recreate that as a picture, which becomes an entirely different process in postproduction. At a certain point it becomes something other than what you saw, and it becomes something equally powerful. But there’s nothing quite like the actual physicality of being there. Are there specific films you turn to for inspiration? 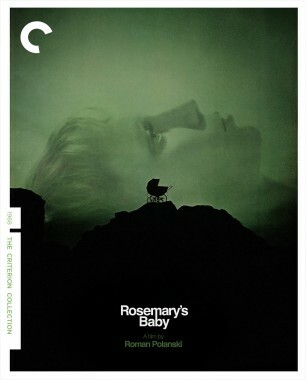 Rosemary’s Baby is one that I return to over and over again. That’s a perfect movie from beginning to end. I also love David Cronenberg, especially his early films. I mentioned Hitchcock. But there are also filmmakers who are making movies now that I really admire, like Wes Anderson, Paul Thomas Anderson, Spike Jonze, etc. 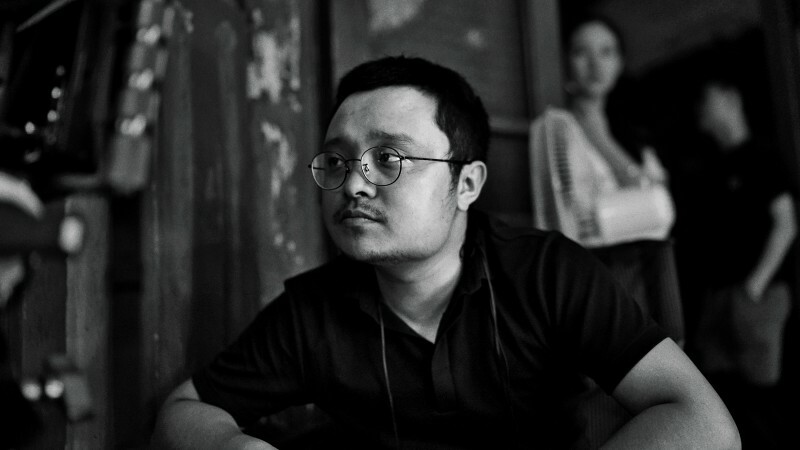 I feel deeply connected to all of those filmmakers.